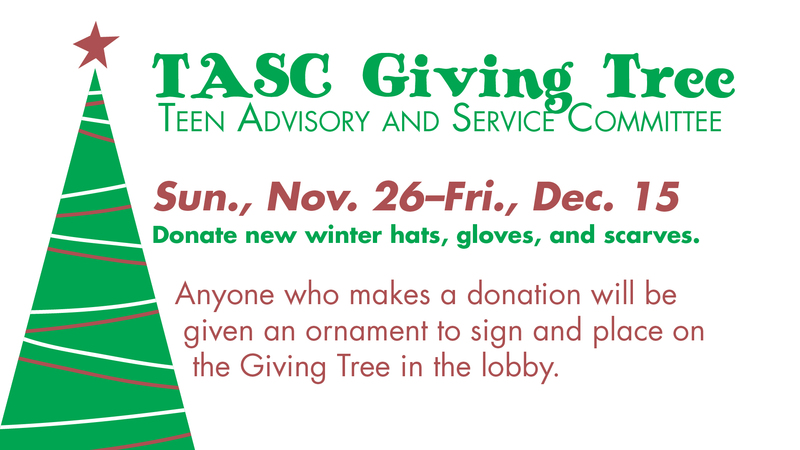 The library’s Teen Advisory Board (TAB) is collecting donations of new winter hats, gloves, and scarves through Friday, Dec. 16. Donations can be for any age and will be given to local organizations. Anyone who makes a donation will be given an ornament to sign and place on the Giving Tree in our lobby. 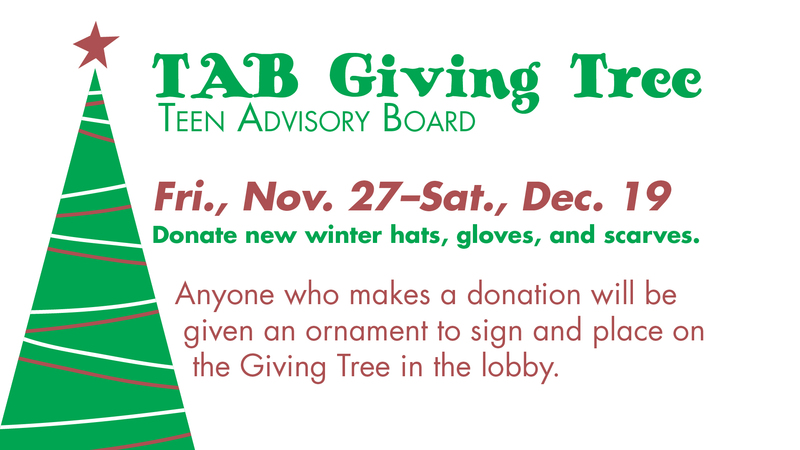 The library’s Teen Advisory Board (TAB) is collecting donations of new winter hats, gloves, and scarves through Saturday, Dec. 19. Donations can be for any age and will be given to local organizations. 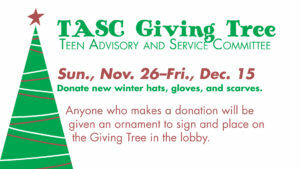 Anyone who makes a donation will be given an ornament to sign and place on the Giving Tree near the library’s lobby.